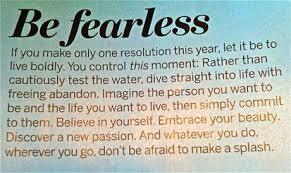 This article was posted in beauty, believe, fearless, live boldly, passion and tagged be yourself, belief. Bookmark the permalink. Follow comments with the RSS feed for this post.Post a Comment or leave a trackback: Trackback URL. ← When you rely on the strengths of others their weakness become irrelevant.